Ireland has a lot to offer the tourist who is willing to look beyond the obvious! The mythical Celtic nature of the island of Ireland is only truly revealed to those who are prepared to put in the effort to look beyond the bright lights of the cities of Ireland. The items listed below would be very difficult to fit into one trip and still do properly. 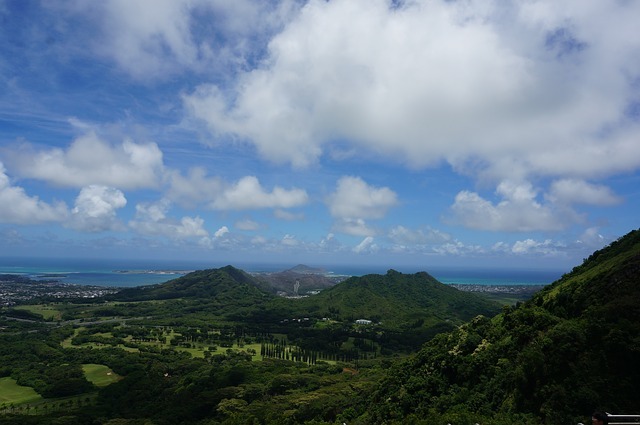 Many of the items listed on this list will require a car rental to travel between attractions, while others simply require a car to take part. The River Shannon is the longest river in Ireland by far, and make for excellent cruising. 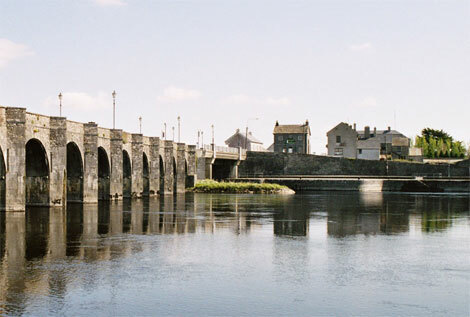 The River is navigable from Limerick to the Lower Lough Erne in Northern Ireland with 500km of navigable waterways. 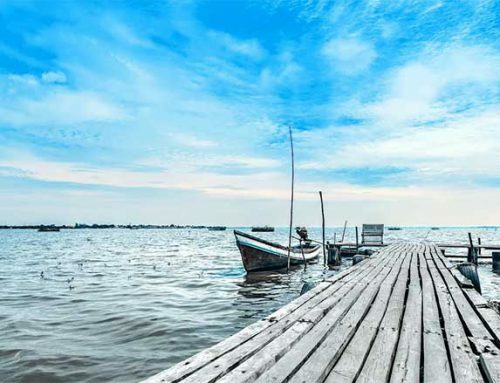 There are a number of main centres for picking up and collecting boats along the Shannon with Portumna and Carrick on Shannon being the most popular. There can be nothing more relaxing than cruising the Shannon. Life moves at a completely different pace and the only thing one has to worry about on a day to day basis is where they want to spend the night. Everybody on the river is friendly and there are no license requirements needed to rent a cruiser. 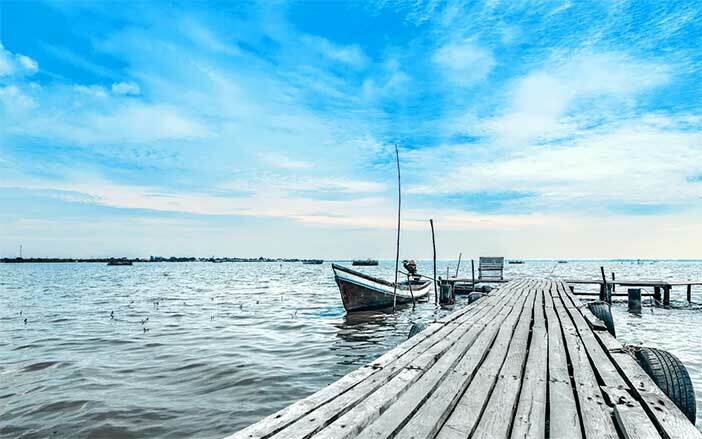 There are two main parts to the River Shannon, the river itself and the Shannon / Erne Waterway which travels into Northern Ireland and uses a different navigational system. 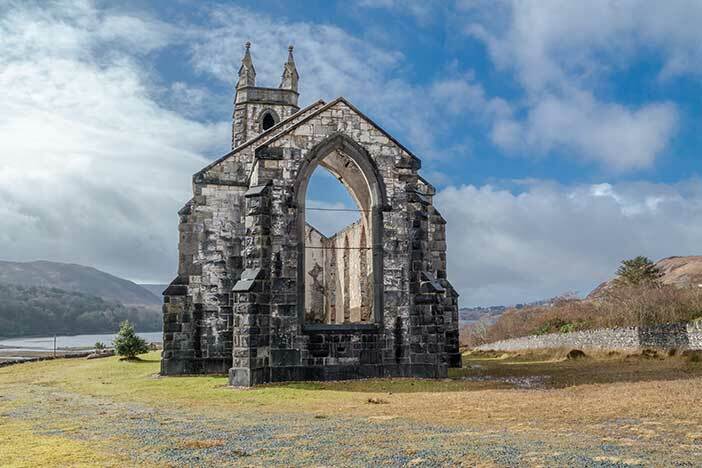 The most popular routes are from Portumna to Carrick on Shannon, but for those who make their way further north, many highlights can be found off the beaten track. Cruisers come in all different shapes and sizes, from day boats which can be hired at Leitrim to 7 or 8 berth cruisers that have all the modern comforts of home. The best cruiser is medium in size and has navigational controls both inside and out. When booking a cruiser it is best to book for slightly more people than you plan to cater for in order to enjoy maximum comfort. Few people of legal age visit Ireland without taking a sample of a pint of Guinness. Guinness was first brewed by Arthur Guinness at St James’s Gate in the heart of Dublin in the style of a porter. Guinness is famous for its deep black colour and white head and is one of Ireland’s most famous exports. Today Guinness is one of the most successful beer brands globally. 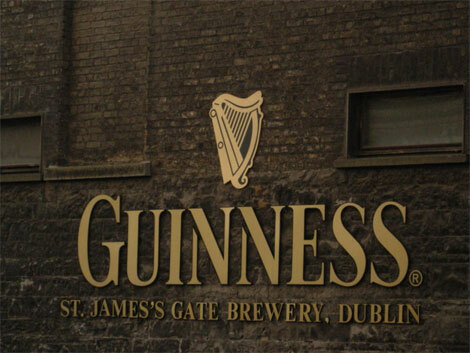 Guinness has been brewed at Saint James’s Gate since Arthur Guinness first came up with the recipe. The Guinness Storehouse in Dublin celebrates Ireland’s most famous export from the heart of the St James Gate Brewery in Dublin City. 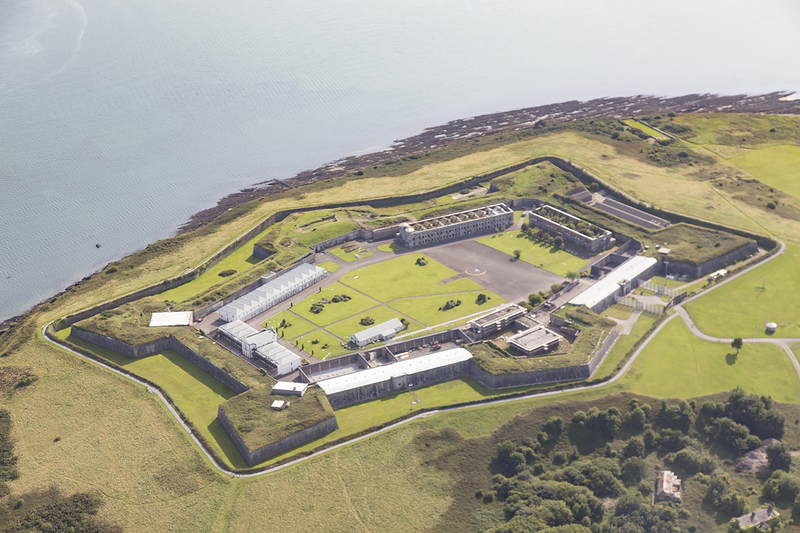 This highlight is one of the biggest attractions in Ireland with over 4 million visitors since 2000 when the Storehouse first opened. The storehouse is a self guided tour which takes in the region of an hour and a half. The tour offers many highlights over seven floors, all surrounding a glass atrium which takes the shape of a pint of Guinness which extends from the reception to The Gravity Bar. This giant pint glass could hold upto 14.3million pints of Guinness if filled. Each floor dealing with a particular aspect of Guinness from brewer guides, advertising, ingredients, the Choice Zone, the history of the Storehouse and much much more. The seventh floor is dedicated to the Gravity Bar, and also forms the head of the giant pint of Guinness formed by the atrium. The Gravity Bar offers a place to relax, enjoy a complementary pint of Guinness and enjoy the 360 degree views over Dublin City. From Horse Racing festivals to arts festivals and St Patricks Day, Ireland knows how to put on a good festival. No matter what time during the year you travel to Ireland, there is bound to be a festival of interest to you. The Irish people know how to enjoy themselves, so as part of your experience in Ireland why not join in, and take part in one of the top festivals in Ireland. Below is just a selection of the many festivals held annually in Ireland. The Dublin Theatre Festival is sponsored by Ulster Bank and takes place during September and October annually. The Dublin Theatre Festival celebrated 50 years during 2007. The Dublin Theatre Festival was established in 1957 by Brendan Smith who operated the Olympia Theatre in Dublin, which makes it the oldest dedicated theatre festival in Europe. 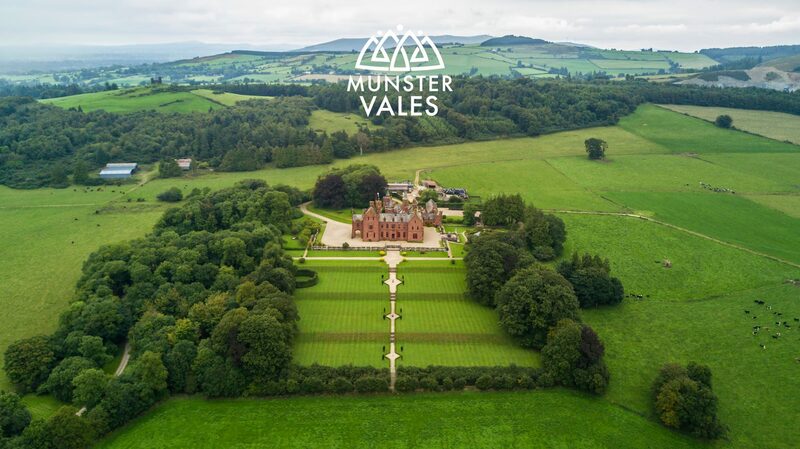 Since then it has grown into a world renowned festival that has staged the works of famous artists as Seamus Heaney, Roddy Doyle and Neil Jordan. The Galway Arts Festival takes place annually during July and this year will feature more than 400 writers, artists, performers and musicians from all parts of the world. The arts festival in Galway includes theatre, dance, music, literature, visual art, comedy and street performances. The combination of top quality entertainment and the fantastic pub scene in Galway makes this an unmissable event. Sponsored by Smithwicks, the Kilkenny Cat Laughs comedy festival is the top comedy festival in Ireland and features the top and up and coming comedy talents in not just Ireland, but also from neighbouring countries. The festival is held over the June bank holiday weekend annually and offers a fantastic choice with over 85 live performances held. 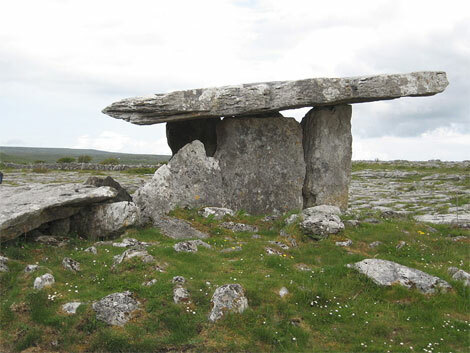 Located in north Clare and south Galway, The Burren is a must for any visitor to Ireland. It is easily the most unique and interesting landscape in Ireland, if not Europe, and combines distinctive limestone rock formations with rare species of flora and fauna. The Burren’s name is derived from the Gaelic word Boireann, which means rocky place. Its unique appearance is the result of thousands of years of the erosion of limestone by acidic rainwater which left ruts and hollows between the rock surfaces. Always a favourite with hikers, The Burren has a well trodden walking trail that is 45 kilometres. 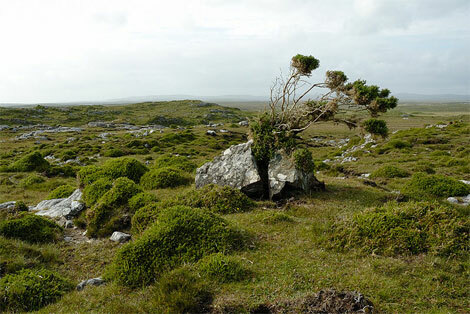 As well as its stunning beauty, The Burren has long been a Mecca for naturalists. Its ecological diversity can not be found anywhere else in Europe with over 700 different species of plants and ferns growing there. Throughout the year, and especially between April and October, the flowers and plants provide an unlikely explosion of colour among the grey rocks. A remarkable seventy five percent of Irish native species grow in the Burren and it amazingly supports arctic, tropical and alpine plants in its 360 square kilometre area. The pub is an important part of Irish life, and everywhere you go in Ireland you will see public houses. The connection between the Irish Pub and the arts, in particular literary arts is very strong. 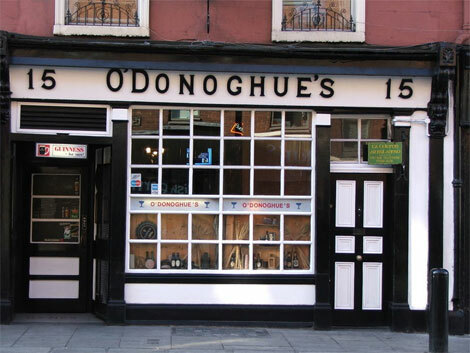 In Dublin City Centre there is a large concentration of pubs with connections to famous literary and musical figures. The Dublin Literary Pub Crawl is probably the most famous of the Dublin pub crawls and leaves from Duke Street nightly. The tour covers a distance of less than 1km in total and takes approximately 2.25 hours to complete. Along the way performances are held which feature Joyce, Beckett, Behan, Lavin, Wide, Boland and Meehan. The tour features 8 pubs in total (4 pubs per tour) and always contains a detour through Trinity College. The Traditional Irish Music Pub Crawl explores the traditional music scene in Dublin. The tour is accompanied by traditional Irish musicians who play at a variety of locations along the way. The tour is mainly focused in Temple Bar and departs Oliver St.John Gogarty pub nightly. Tours through the passage tomb use false lighting to simulate the winter solstice. 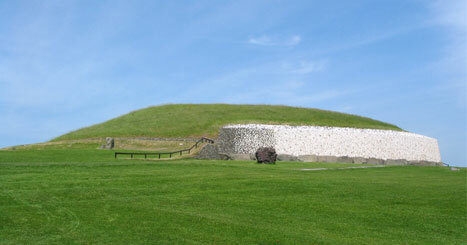 For entry into the Newgrange Passage tomb during the Winter Solstice, a lottery is held each year. During 2007, 28,106 people entered the draw from which 50 names were drawn. Each winner gets awarded 2 entries into the tomb during the Winter Solstice. The Wild Atlantic Way is a 2,400 km road trip that follows the west coast of Ireland, from Malin head in County Donegal to Kinsale in County Cork in the South of the country. 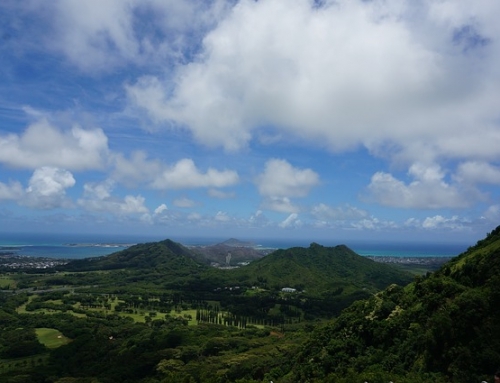 Along the way, drivers will be passing through unspoilt villages, along rugged coastline and epic panoramas. Along the way, the route passes through 156 strategically placed discovery points. The route was developed with the help of local people to ensure the very best of what Ireland’s west coast offers will be seen. The route will provide access to some of the very best experiences Ireland has to offer. It is hoped that the route encourage people to interact with location people, and therefore gain a better understanding of Ireland, her coastline, her history and her culture. Click here for more information on the Wild Atlantic Way. Ireland has often been described as a golfer’s paradise and once you arrive in Ireland you will never be very far away from a quality golf course. The beautiful landscape, excellent choice of courses and reasonable prices has kept golfing enthusiasts coming back to Ireland again and again for years. Ireland mixes some of the best parkland golf courses with some of the world’s greatest links courses. Golf is a major attraction for tourists in Ireland. For those interested in playing the best links courses in not just Ireland, but the world, Ireland has four links courses listed in the top 100 golf clubs in the world. – Royal County Down Golf Club is located in Northern Ireland and is one of the oldest golf courses in Ireland. Royal County Down combines a severe test of golfing skills with stunning scenery. – Ballybunion Golf Club (Old) is a stunning course situated in Co Kerry, Ireland. The course dates from 1893 and is a private members club although visitors are welcome. One of the main features of this stunning course is the lack of any obvious man made features. The challenge is such that a handicap of 24 or less for a man and a handicap of 36 or less for ladies are minimum requirements. – Portmarnock Golf Club is located on the outskirts of Dublin in the suburb of Portmarnock and is universally acknowledged as one of the truly great links courses. 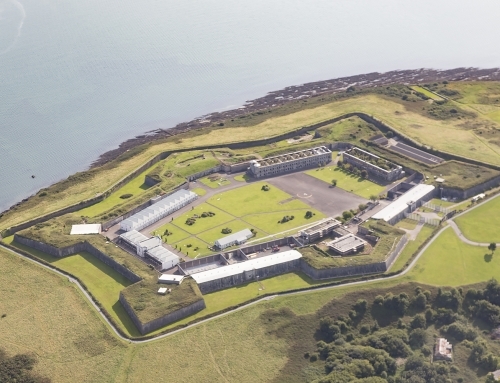 The course is located on a small peninsula which extends out into the Irish Sea and is surrounded by water on three sides. If the course was not enough of a challenge in itself, the added wind from the Irish Sea can make this course very difficult to navigate. – Lahinch Golf Club is situated on the West Coast of Ireland and within close proximity to the Cliffs of Moher. The course was built in 1892 on a vast dune land. The course has been improved several times since it opened, but the core characteristics of this stunning course sill remain strong. Dingle is without doubt one of the biggest tourist attractions in Ireland and combines old Irish character with the stunning natural beauty of the Dingle Peninsula. The town of Dingle sits on a natural harbour and at the foot of the Slievanea Mountain, both of which add to the natural beauty that surrounds Dingle. The town is a lively combination of shops, pubs and restaurants, all with a distinctly Irish character. The Dingle Peninsula is the most Westerly point of both Ireland and Europe and mixes unrivaled natural beauty with the harsh weather of the Atlantic Ocean. 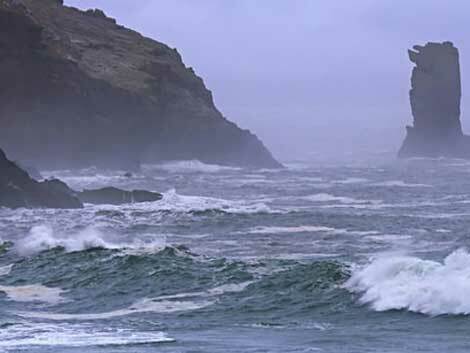 Everywhere you look on the Dingle Peninsula, you will see the unmissable pattern of harsh weather on the landscape. The stunning Blasket Islands are situated just off the coast of the Peninsula, and can easily be seen from the mainland. The Blasket Islands were inhabited until 1953 by an Irish Speaking people who survived by fishing. There are boat services from Dingle to the main Blasket Island multiple times daily during peak seasons. While Dingle and the Dingle Peninsula have many attractions (including The Blasket Islands, Conors Pass, Eask Tower, Oceanworld and Rahinnane Castle), the star of the show is most definitely Fungi the dolphin. Fungi is Ireland’s most popular sea inhabitant, and provides entertainment daily to the tourists who take the Fungi boat trips. The operators of the boat trips are so confident that the passengers will see Fungi that they provide a money back guarantee. 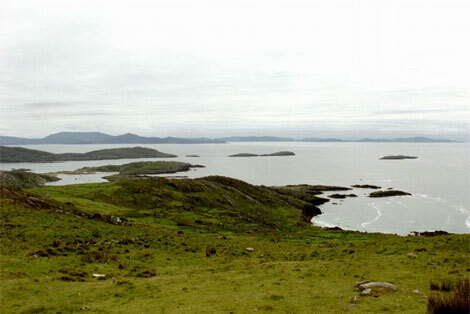 The Connemara area of Ireland is situated in County Galway and to the west of Galway City. 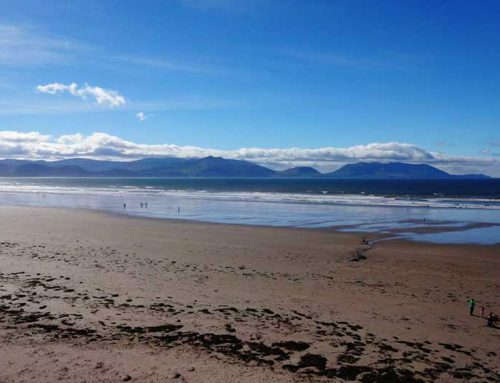 The area is famous for unspoilt natural beauty and is one of the most scenic regions in Ireland. The area was described by Oscar Wilde as “savage beauty,” but even this may be an understatement. The main town in the area of Connemara is Clifden. 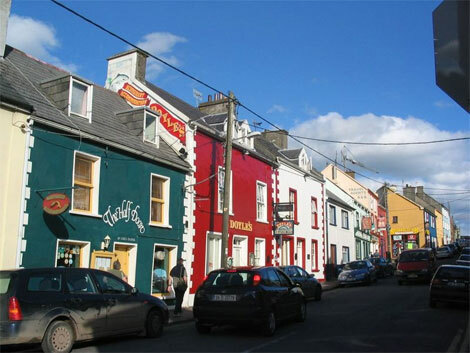 Clifden is situated on Clifden Bay and is ideally situated as a base from which to explore the Connemara Region. If you are staying in Clifden, the easiest tourist trail is the Sky Drive which will take you in a circular route along a Clifden Bay and Streamstown Bay with stunning views of both the Atlantic Ocean and the Connemara region. The Sky Road is an 11km long and rises to 150 meters above sea level at its highest point, Slyne Head. From Slyne Head, you can enjoy stunning views over Clifden Castle, the islands of Inishturk and Turbot and the town of Clifden itself. In terms of things to do, the Connemara region is not short on attractions with ample opportunities to enjoy golf, cycling, pony trekking, hill walking, water sports, horse racing and camping. In recent times the Connemarathon has become a major tourist draw. This challenging marathon offers a Half Marathon, a full Marathon and an Ultra Marathon all in one day through some of the most scenic parts of Ireland. The Ring of Kerry is a mystical Celtic tourist trail through some of the best scenery in Ireland. The route starts and ends in Killarney, Co Kerry and covers over 170km of stunning scenery around the Iveragh Peninsula. It is possible to complete this trail in one day, but to do so would mean missing too many attractions. After departing from Killarney, the route passes through Kenmare, Sneem, Watervill, Cahersiveen and Kilorglin to name but a few towns along the way. 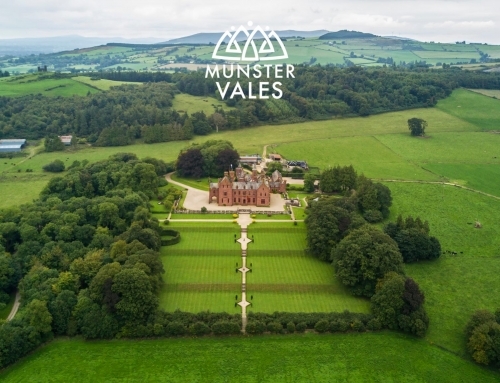 During the first part of this trip, Muckross House and the Gap of Dunloe are unmissable attractions while Ross Castle, Lough Leane and the Ladies View are other notable options. The complete list of major attractions along the Ring of Kerry includes: Gap of Dunloe, Bog Village, Rossbeigh Beach, Cahersiveen Heritage Centre, Derrynane House, Skellig Experience, Staigue Fort, Kenmare Lace, Molls Gap, Ladies View, Torc Waterfall, Muckross House, The Blue Pool, Ross Castle, Ogham Stones, St Mary’s Cathedral, Muckross Abbey, Franciscan Friary, Kellegy Church, O’Connell Memorial Church, Sneem Church and Cemetery, Skellig Michael, Beehive Cells and the Stone Pillars marking an important grave. You can pick up a car rental at Kerry Airport and do this driving route. Car Rental Ireland has produce an Ireland guide that you can filter by counties. Very nicely written. I will be going to the Galway Arts Festival this year and I can’t wait to see Omara Portuondo (Buena Vista Social Club) and the collection of photographs by Walker Evans. I wrote a blog here with some links to bios of some of my favourite artists who will be at the Galway Arts Festival this year. I hope your readers like it. How could the Giant’s Causeway and Blarney Castle not made it on to this list? I’m amazed they were omitted. The guide was for the Republic, so the Giant’s Causeway didn’t make it on. As for Blarney Castle, I have never seen it personally, but in hindsight it probably should of made it. What would you take out? 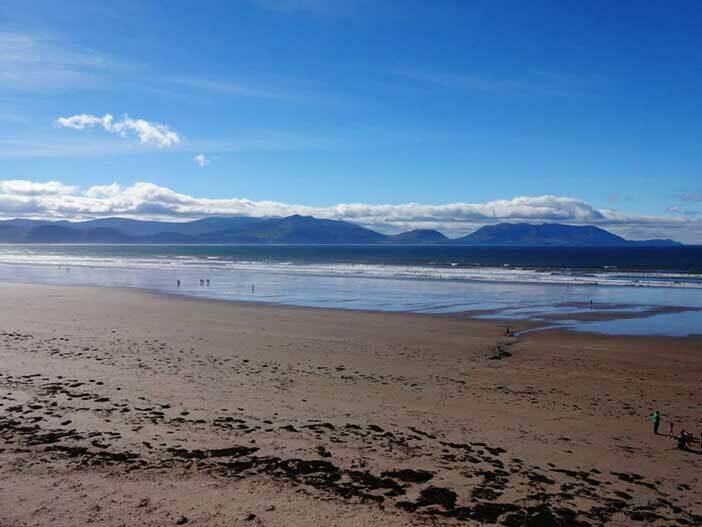 Lesley – Indeed there are too many things to do in Ireland, the above are some of the best! INISHOWEN, MOST BEAUTIFUL PLACE ON EARTH, YOU CAN EXPERIENCE FOUR SEASONS IN ONE DAY, THE LIGHT IS MAGICAL, THE IMPACT OF THE SCENERY CAN ONLY BE EXPERIENCED THROUGH THE EYES, NOSE, EARS, FOLLICLES , ALL THE SENSES OF THE BEHOLDER. THE HIDDEN JEWEL OF THE EMERALD CROWN. When I arrived in Dublin. I joined a free city tour which was fun, I usually join these tours. They tell you details and stories you most probably didn’t read in a travel guide. I went to Guinness Storehouse, which is one of the top attractions, and for good reason. I walked everywhere, went to St Patrick Cathedral, Trinity College, and Dublin Castle.